The hubs and I try to be conscious consumers as much as we can, and that often includes brainstorming ways to reuse or recycle things instead of just tossing them. 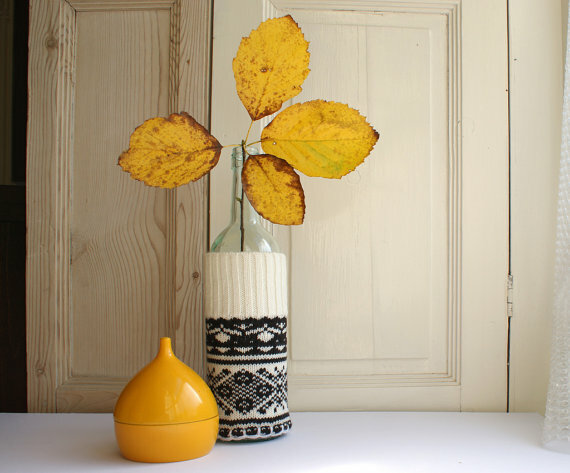 It's a challenge just to do this with common household items, so when people have the vision take this practice and create beautiful home accessories, I'm always in awe (and always a wee bit jealous!). One such lady is Sarah Hepworth, whose Etsy store, Little Miss Loolies, takes "life's little leftovers" and turns them into items that are "fabulous and fun." 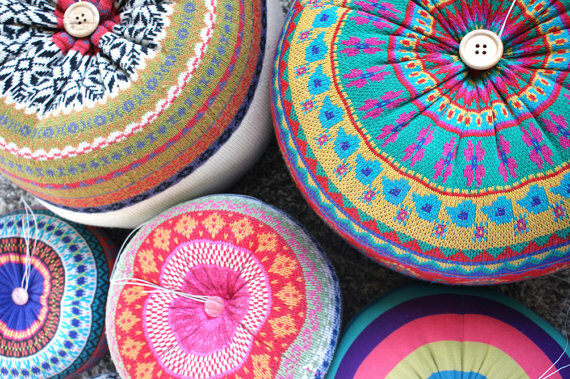 What drew me in at first were her knit poufs, which have such vibrant colors and patterns. 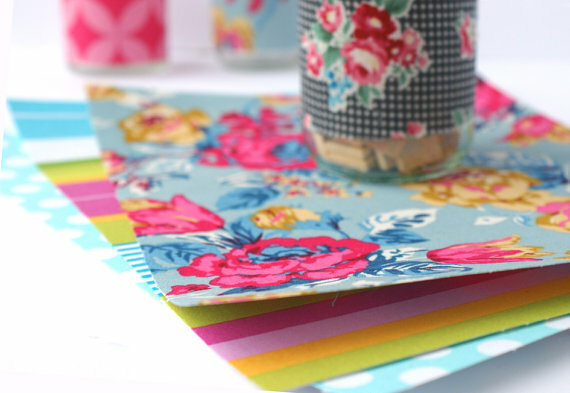 But as I delved a little deeper, I also fell for her knit bottle and vase cozies, self-adhesive fabric sheets (using some vintage fabrics!) 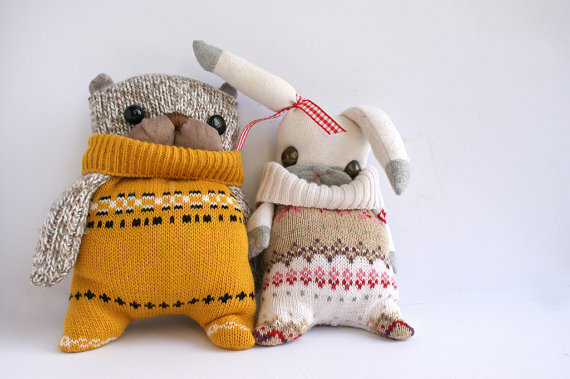 and her adorable matching sweater rabbits (I mean...come on...they're SO cute!). The only down side (for me at least) is she's based in the UK, which means hefty shipping costs for those poufs. But that doesn't mean I can't admire them from across The Pond, right? Adorable!! I have used leftover felted sweater sleeves to make a number of things myself. I'm loving the little poufs!